Battle #1 – Is a Car a Living Thing? 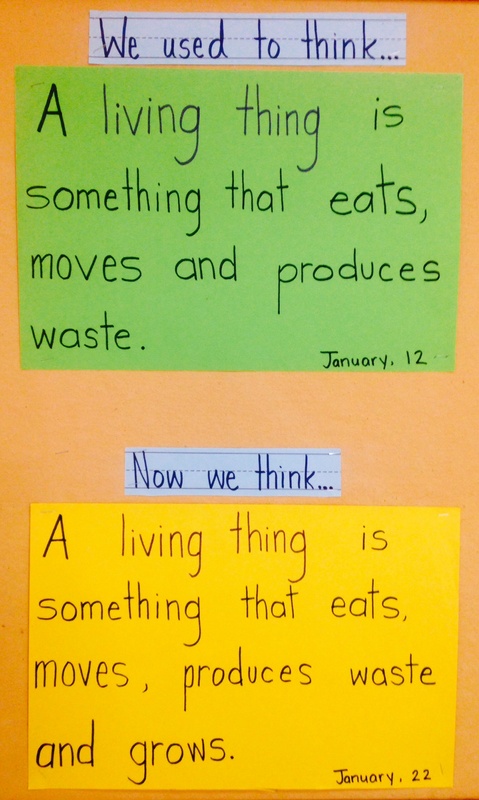 During the course of a unit on, “How Living Things Depend on Resources to Survive”, one KG2 class had created a collective definition that a living thing “is something that eats, moves and produces waste”. One day the class was having a discussion and a student said that a car was a living thing. Here is the crucial moment. The way the teacher responds to this statement can take the learning down two very different paths. Path #1 – The teacher weighs in and gives the students the answer. “Actually, a car is not a living thing.” And that’s the end of that road. Path #2 – The teacher remains neutral and either asks more questions or turns it back to the students. Thus embarking down an unchartered – but potentially amazing- road! Our KG2 teacher chose Path #2 (thankfully!). First she asked her student why he thought that. The student said “Because it can move forward and backwards and eats fuel and has waste come out of the pipe at the back”. The teacher then turned it back to the class to see who agreed and who had a different idea. Thus, sparking a passionate debate! Some students agreed. Some students disagreed. Some students compared it to other examples of living things to support their case. Some students suggested new criteria to define living things. Eventually – after a fascinating discussion among five-year-olds – the class arrived at the conclusion that, not only, is a car NOT a living thing, but that they needed to change their original definition of living things to include “something that grows”. Battle #2 – How Many Sides Does a Circle Have? From here the class decided to go out into the school community and gather some data from more “experienced” mathematicians (aka high school math students). They also decided to ask their parents at home that evening. They decided as a class that since no one could agree on this matter, they would see which answer most people agreed with and they would use that as their answer. 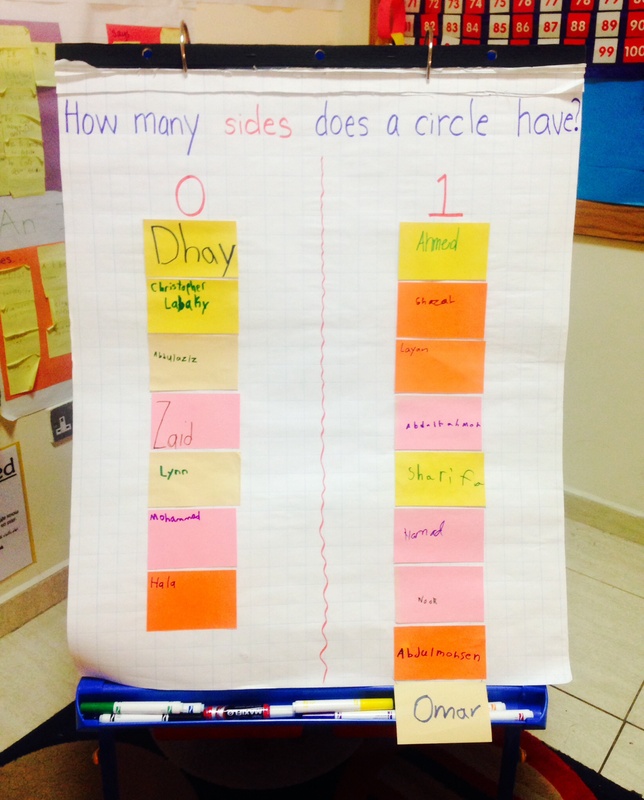 Our KG2 team was loving the power of staying neutral! They were seeing their students engage in deep thinking, developing debating skills, collecting data, refining definitions, defending a stance – it was learning at its finest! Turn it back to the students: Once you have given the student a chance to explain their thinking, turn it back on the rest of the students in the class. This is where you can often start a great debate. It can be as simple as “What do you guys think?” or as structured as “Does anyone agree/disagree/have a different idea”. Don’t be afraid of wrong answers: At first, some of our teachers were uncomfortable not correcting their students’ misconceptions right away. They soon learned that it was more powerful to have the students realize their own misconceptions and change their own thinking, than for the teacher to simply tell them the answer. De-value the answer & Re-value the learning: At the end of the day, would you rather have a five-year-old who can repeat that a circle has x number of sides because their teacher told them so… or a five-year-old who can reason, argue, collect and analyze data, make conclusions and reflect on their own thinking? Easy answer. The trickiest part of all, is noticing these opportunities when they pop up. So the next time you have a student who shares a wrong answer or a misconception with you, resist the urge to correct them and give them the answer. Remain neutral and see where it takes you!